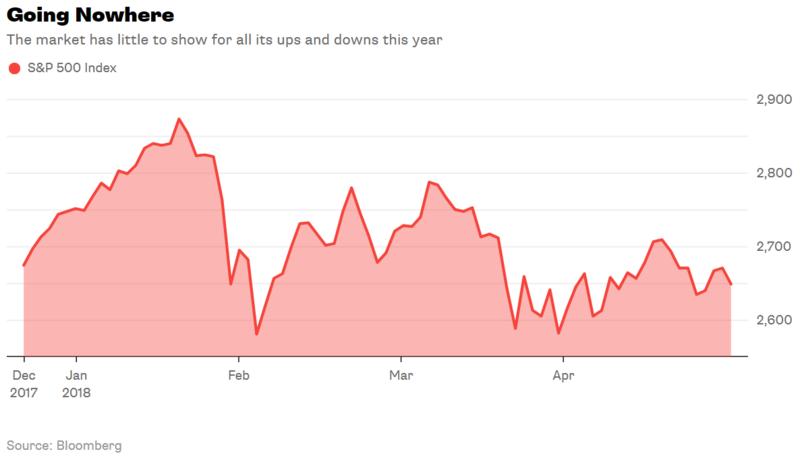 Here’s a brainteaser: While investors fret about trade wars and rate hikes, U.S. stock prices keep climbing. Answer: Investors are indeed running for the exit — just through the wrong door. Emerging-market stocks, not those in the U.S., are taking the brunt of investors’ fears. 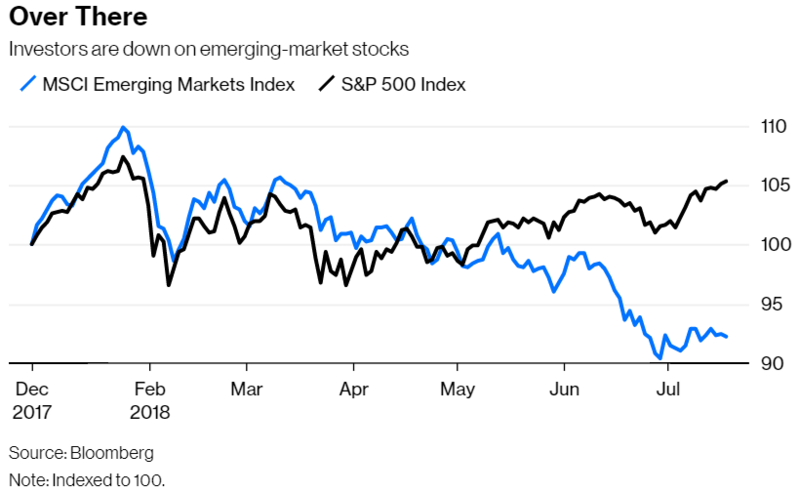 The MSCI Emerging Markets Index is down 7.7 percent this year through Wednesday, while the S&P 500 Index is up 5.3 percent. The EM index is also down 16 percent from its high on Jan. 26, just shy of the 20 percent decline that signals a bear market.